Sam graduated from the University of Auckland in 2003 with a Bachelor of Arts (English/Politics) and in 2006 with a Bachelor of Laws. He then worked for the Ministry of Justice as a Judges’ Clerk before working for another firm for two years. 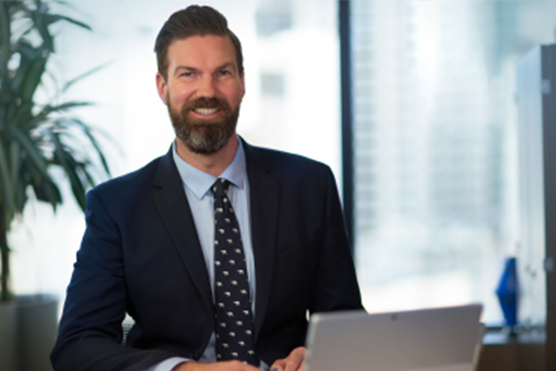 Sam first joined Fee Langstone’s predecessor firm in 2010 and returned in 2017 after honing his litigation skills at another insurance firm in Auckland. Sam has a wide range of insurance experience, in contentious and non-contentious insurance work primarily in the area of professional indemnity. Since 2011 he has also worked on issues arising from the Canterbury Earthquake Sequence. He has a wide range of experience in litigation gained while acting for national and international underwriters and their insureds and appeared in the District Court and High Court. He has also appeared at judicial settlement conferences and mediations and assisted Senior Counsel at trial and Alternative Dispute Resolution including arbitrations and adjudications. Lam & ors v Mo & ors  NZHC 997 – Successfully defended a claim against a solicitor alleging negligence, breach of contract, and breaches of fiduciary duty. Parkin v Vero Insurance New Zealand Ltd  NZHC 1675 – successfully defended a claim against Vero in relation to a claim arising from the Canterbury Earthquake Sequence. Acted for the insurer of an engineering firm in High Court proceedings alleging defective design and an associated liquidated damages claim of approximately $6m. Worked on the team advising New Zealand and United Kingdom based underwriters in relation to claims for significant property damage arising from the Canterbury Earthquake Sequence – these claims involved two of New Zealand’s largest ever insurance payments. Acted for the insurer of a large construction company in relation to a claim brought arising from the collapse of a well-known historic building. The claim involved significant claims for loss of profits and wasted costs from construction. Acted for the insurer in the defence of High Court proceedings brought by an insured in relation to a claim for loss of profits arising out of flooding to the insured’s farm.